Voice SMS Service is an instrument that touches the heart & guides the mind! Communication with a human connection has an edge over other forms of connectivity. The spoken word is even more efficient in conveying the message as it is personalized and even more effective penetrating directly into the mind and leaving the lasting impact. 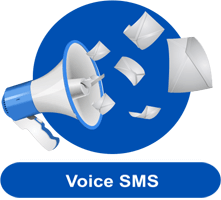 Value One brings Voice SMS services to fulfill your business needs to give the feel of Real Communication. Value One facilitates your outbound dialing by offering support to record messages in your own voice. You can also share text or clip that will be converted to speech automatically. These voice messages can then be transferred to the consumers as automated phone calls. It can be also used to take feedback from the users with the help of our web interface utilizing IVR Service functionality. 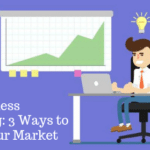 Value One understands busy schedules while doing business. So, we offer the facility of helping you send high-priority broadcasts urgently from anywhere anytime. All you have to do is to call us at specified numbers and record your message which will be broadcast at the time scheduled by you to your groups. Computers or internet is not required for this facility making it easy for you to operate from anywhere anytime. Pre-recorded voice messages can be a great asset in a large organization to send alerts, warnings, and notifications to team members or staff. High volume broadcasts can be managed easily with value One Voice SMS service. Auto-redialing can be used for unanswered or busy calls. There is a facility for the recipients to respond or acknowledge receiving the message allowing the confirmation of message delivery. With Value One Voice SMS service, you get an online monitoring interface where you can see the summary of your messages, the status of delivery and responses of users empowering you to monitor your messages. Offering API integrated solutions with easy access, bulk volumes, customization competitive pricing, unlimited functionality, provision for voice translation and smooth operations. 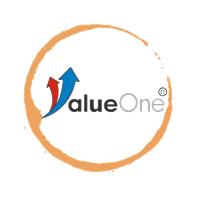 Value One is one of the agile companies in providing Voice SMS services.